In 1963 a small group of Saluki owners from Southern California came together to form a club. 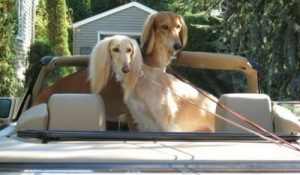 They called themselves the Saluki Fanciers of California and their first group effort was to support the entry at the prestigious Santa Barbara Kennel Club show in July. 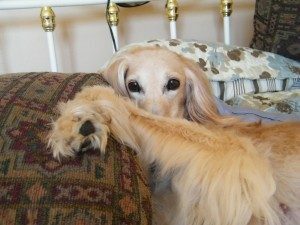 There had not been a Saluki specialty anywhere in the United States for many years, or even a supported entry of any kind. The little group rallied to produce an entry of 12, which was “an astronomical entry for those days” according to our first president, Dr. Winifred Lucas. At that time the Santa Barbara Kennel Club show was a benched show held under signature yellow and white tents on the manicured grass of the Santa Barbara Polo Field. That first year the group’s benching decoration was described as “amateurish” but nevertheless it garnered a ribbon, and the placement inspired enthusiasm for an even bigger and better effort the following year. On the eve of the 1964 Santa Barbara show, so many Saluki owners throughout the western United States and even Canada had asked to join that the fledgling club renamed itself the Western Saluki Association. By this time the membership list included William Eltiste and his wife Esta, who had lived in Arabia for many years, where Bill negotiated oil contracts for Standard Oil. In 1964, 29 Salukis reclined under a recreated Arabian tent on carpets interspersed with Middle Eastern treasures brought back by the Eltistes, while members donned authentic costumes from the court of Ibn Saud. The effort paid off with a Best Award for Benching and a deep sense of fellowship among the Saluki exhibitors present, and so, the event came to be an annual tradition. 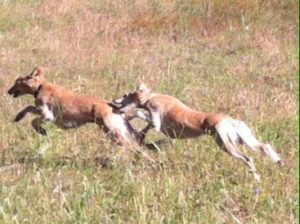 It was not long before the Western Saluki Association became the American Saluki Association (ASA), dedicated to the “fulfillment of the many-faceted potentials of the Saluki”. Today, the ASA is an organization that, despite its name, proudly boasts a membership from all over the United States, Canada, Europe and Asia. Today, the annual Celebration, held every July since 1963, features a trophy supported dog show with a large number of dogs entered as well as a banquet, during which the annual Perpetual Trophy winners are recognized for outstanding achievement in various categories of competition. In July 2013, the ASA marked its 50th anniversary, and the Celebration event featured a gala banquet, a Saluki Art Exhibit and four days of conformation shows held in conjunction with the Lompoc Valley Kennel Club Show in Lompoc, California. 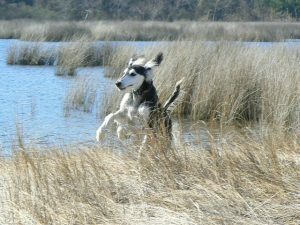 From the onset, Dr. Lucas, an articulate and prolific writer, published newsletters filled with information on members, shows, and the coursing of Salukis from all over the world. 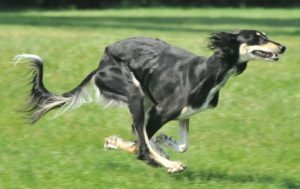 To this day, the ASA publishes the ASA Newsletter for our members which highlight events, Saluki news, pertinent medical research as well as articles of historical interest relating to our breed. 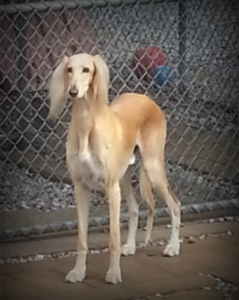 The ASA also publishes the Caravanserai every five years, which is a unique historical compilation of Saluki achievements, complete with breeder information, pedigrees and photographs. There is no other publication like the Caravanserai, which chronicles Saluki history in the United States. The publication is a complete and well documented reference book for any student of the breed.